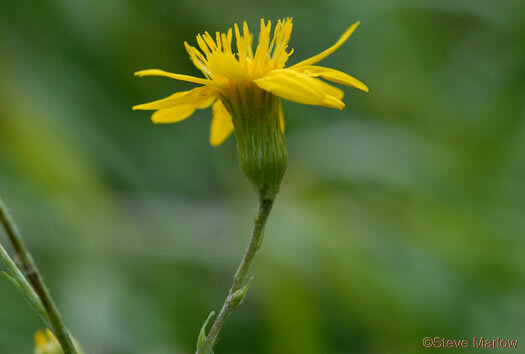 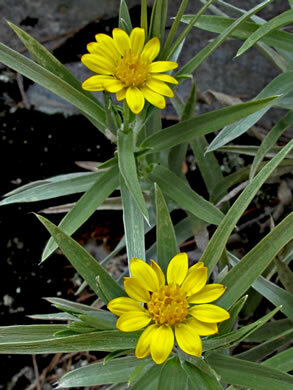 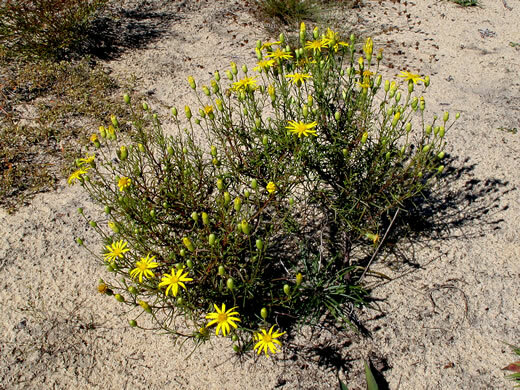 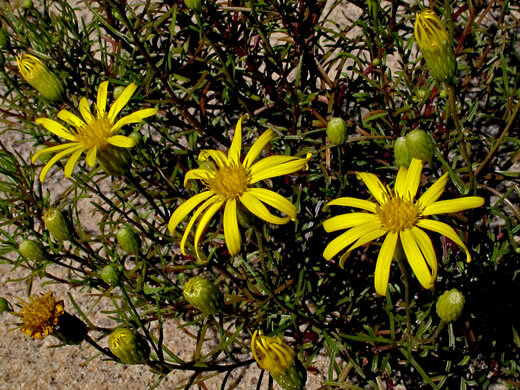 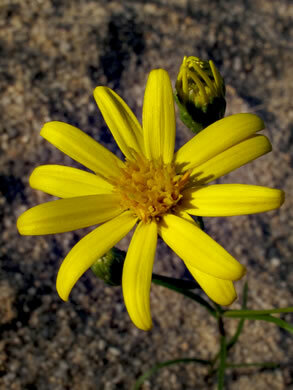 Your search found 20 image(s) of Grass-leaved Golden-asters. 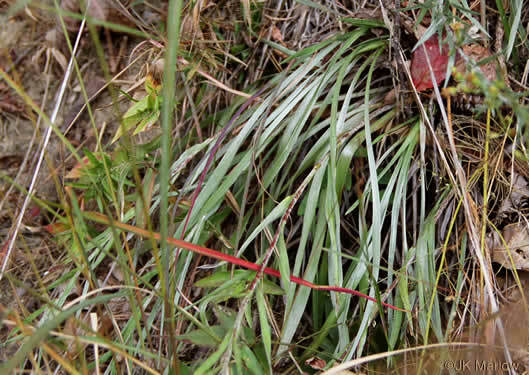 Lower leaves up to 20mm wide. 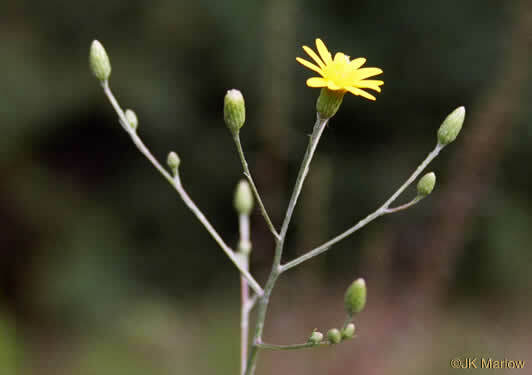 Basal leaves much longer than stem leaves, per Weakley's Flora. 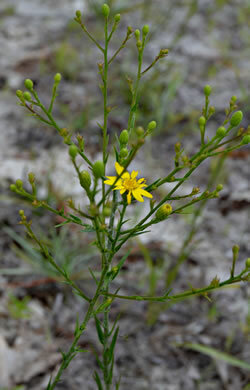 Involucres 8-12mm high, per Weakley's Flora. 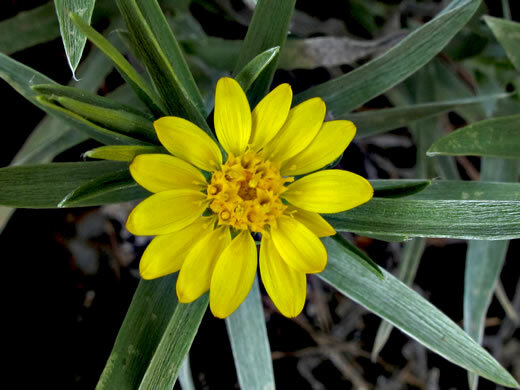 Ray florets 10-16; disc florets more than 30, per Weakley's Flora. 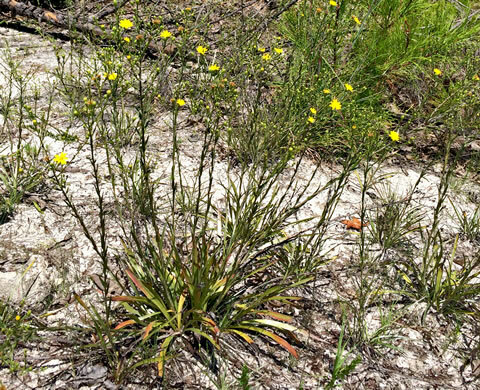 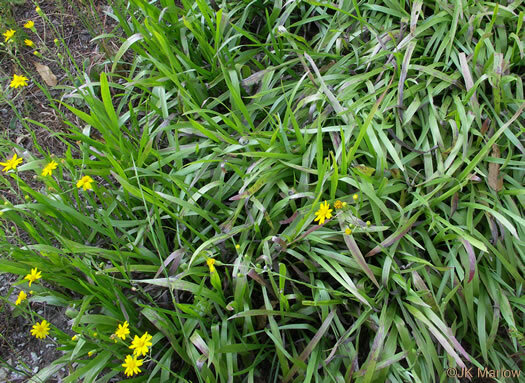 Plants spread vegetatively by underground stems (rhizomes), forming colonies, per Wildflowers & Plant Communities of the Southern Appalachian Mountains and Piedmont. 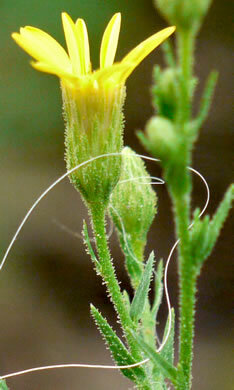 ... are similar to var. 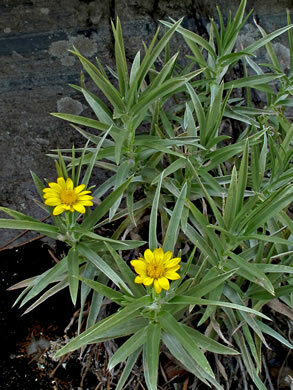 tenuifolia, per Flora of North America. 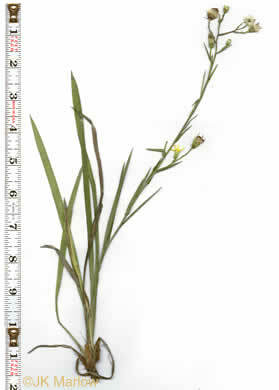 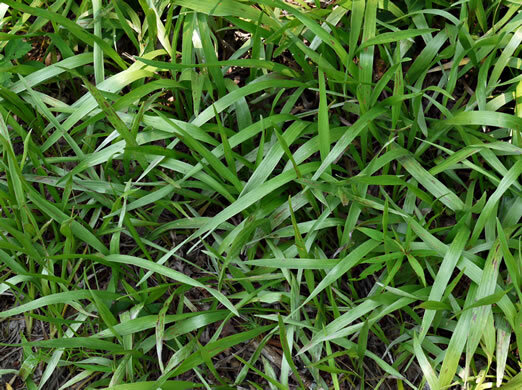 Stem leaves reduced upwards, only slightly overlapping; lower lvs to 20mm wide, per Weakley's Flora. 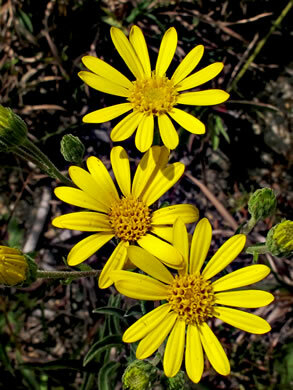 The heads are small, with about 12 rays 3/8" [1cm] long, per Wildflowers of the Southern Mountains. 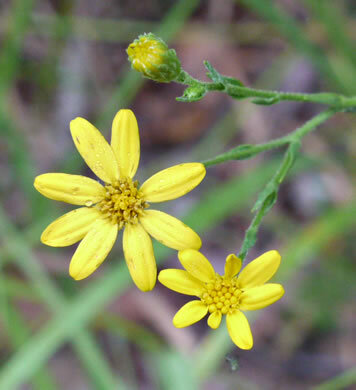 The stems are leafy up to the flower heads, per Wildflowers of Tennessee, the Ohio Valley, and the Southern Appalachians. 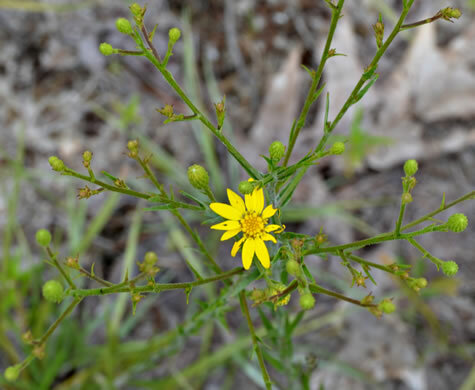 Leaves linear, 1-3" long, with silky hairs that give a silvery appearance, per Wildflowers of Tennessee, the Ohio Valley, and the Southern Appalachians. 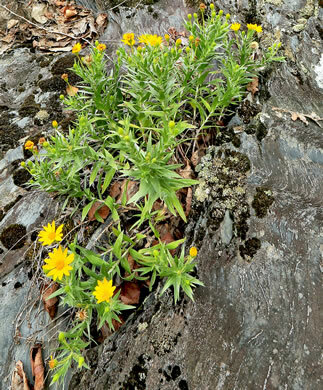 A low, much-branched plant growing on rocks along river gorges. 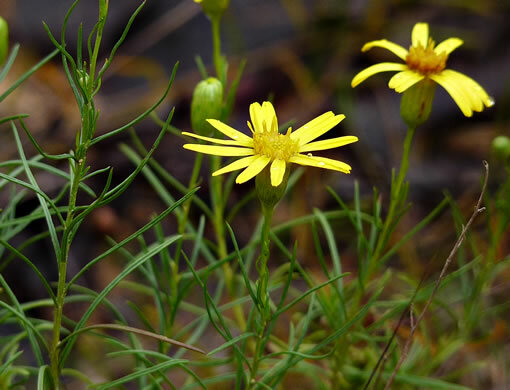 Rare, per Wildflowers of the Southern Mountains.